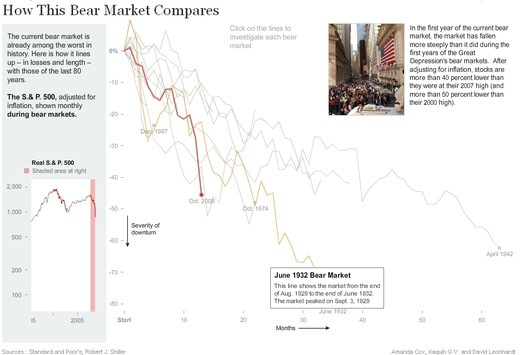 Another nifty graph from the NY Times, this time a historical comparison of bear markets. Two takeaways: the current bear market is very steep, and previous bear markets have had multiple significant but temporary “recoveries”. Click for a bigger and (very nicely) interactive version.